The Ketogenic Diet represents one of the most interesting plans to lose weight. It can be reduced to a simple ideology which implies using ketones for energy. Ketones are released in the blood when you change your eating by eliminating glucose which comes from carbohydrates. Thus, if you cut carbohydrates intake you can see real benefits in the area of weight loss by sourcing your energy from fats and protein. There are some groups of people who should avoid the ketogenic diet. However, most of these people should avoid all diets. For example, pregnant women should not follow the diet and they should not deprive themselves from a healthy nutrition which uses all types of nutrients. The Ketogenic diet has been around for many years and it is part of human history. It offers improved reliability when it comes to drastic weight loss as it aggressively cuts carbohydrates from your nutrition. With better overall chances of success, it manages to provide one of the solutions which can be seen as detrimental if you do not know its particularities. 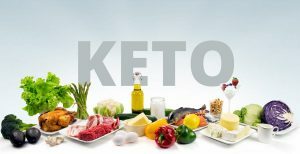 One of the main concerns of the diet comes with major weight loss but the state of ketosis favors the loss of fat rather than muscle, especially since you are going to consume a higher amount of proteins from different sources. In human history, this implied that you needed to base your caloric intake on animal products such as meats and fat over the winter months when you would not have access to fruits and other types of carbohydrates. The diet is thus safe, especially since most plans come with 30-day challenges. But you should not really consider this as a long-term solution or a solution to push for multiple months as you could potentially stay away from the benefits of carbohydrates. But the best approach should always imply a balanced approach and since you might not even be looking towards this as a primary weight loss factor, it may come as a great addition. The diet can be a good solution when you want to break weight-loss plateaus when you see no more results. It also needs to be based on a healthy nutrition, a proper workout plan and great resting intervals. This is where the proportion of the diet in the overall results will vastly vary from person to person. When is a Ketogenic diet unsafe? As with any diet, the number of calories you consume plays an important role. This is why it is important to know that you can see great overall results when you want to enjoy a healthy weight loss when you monitor calories. Even with a plan which cuts carbohydrates, you still need to allow yourself to have a good caloric intake. The scientific community recommends different numbers but a normal approach would mean that you cut up to 200 calories each day from your diet. This also means that you can replenish the calories you lose from carbohydrates with fat and protein sources. It is also important to monitor your overall health if you decide to go further and cut more calories although you might begin to see some side-effects you may want to avoid. As long as you know what you eat and in which quantity you should be safe with the diet. Of course, if you have certain health problems, you should discuss it with your doctor. Beyond a certain point, you should also know that some problems can actually find solutions in the diet. For example, when you experience hormonal problems, the diet can act as a solution made to normalize these issues and this is why it is important to know that you can see great overall results with certain hormones, although the results vary from person to person. Click on the image to figure out exactly what you need to consume to reach your goals with the Keto Diet. This is a great tool for beginners as it makes this diet, which some people think of as complicated, very easy! Once you understand the basic principles of the diet, you need to know that entering ketosis will come at some point when you cut carbohydrates. The state is known for ketones products in your blood which are used as a source of energy. So how can you enter ketosis faster? One of the ways to do this is by consume the foods you need to consume during the diet. Thus, you can consume healthy fats which are quick to absorb and which quickly go into the blood to be used as energy. 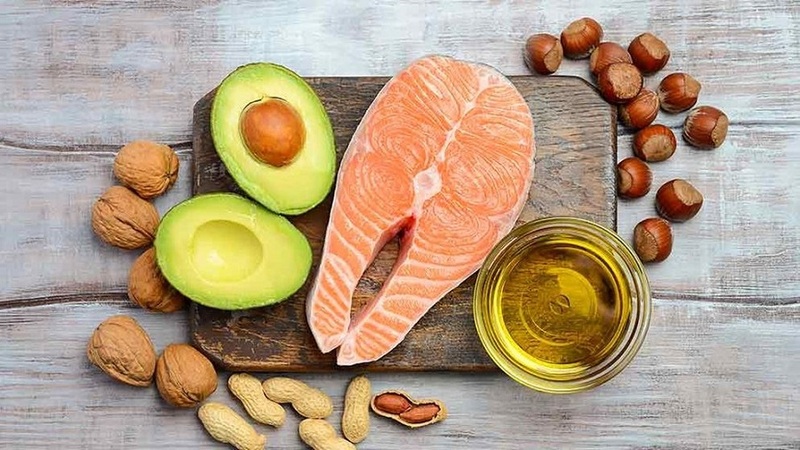 There are many healthy fats to choose from and they include the classic Omega 3 oils and solutions such as coconut oil or MCT oil which is even faster to absorb. This is why it can be important to know that some products are a great solution to boost this ketone production, especially at the beginning of the diet. Apart from these products and the supplements which can come handy, you will also need to consume the foods which allow you enter this state. You should not make any sacrifices when it comes to food quality. One of the psychological challenges with diets comes with the mentality which doesn’t see beyond the diet. Since you want to get healthier, you should use the time you invest in the diet to learn more about healthy nutrition. Thus, if you eat meats or other protein sources such as cheeses, you need to ensure they come with good quality with no heavy processing. These proteins are recognized by the body and they can be used when it comes to better nutrition. You will also keep these healthy proteins once you finish your diet and this can be one of the small steps taken towards proper weight management. How Long to Stay in Ketosis? An important aspect of ketosis is the overall time spent in the state. Many plans limit it to 30 days which is more than enough for the average person to see results with weight loss. If you do not see the results you like, maybe it is time to renounce the diet and take a break before coming back to it and following it with better planning. The state of ketosis also stimulates natural hormone levels which are important when it comes to keeping the lower weight you see. But it is also important not to make food excesses when you go back to your regular nutrition. Actually, the carbohydrates should be gradually introduced into your diet. For better long-term health, you should also look for foods which come with a good fiber content to maintain a healthy transit. How Much Weight Can You Lose with a Ketogenic Diet? This is one of the main questions beginners have when it comes to ketogenic diets. It is natural to know the weight you can lose with the diet but it is also important to know that you should not aim to lose drastic weight, but rather to lose weight in a small amount not to shock the body or the immune system. The final results will depend from person to person. Ideally, you should not stay away from an exercise routine, especially if you want to maintain the functioning of the body in normal parameters. So is the Ketogenic diet a wonder maker in terms of weight? The diet itself cannot come with miracles but it can teach you more about your body in 30 days than you can read in many books. The way your body reacts is thus different and you will see some results which can even change the way you feel mentally as many people report increase in cognitive function. You can also see better sleeping patters, especially if you have problems in this area as your hormones will tend to normalize. 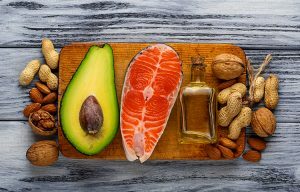 The keto diet has seen a rise in popularity with groups of people who live sedentary lifestyles. While they can also see improved results in terms of weight loss, you need to understand that having an active lifestyle at any age is the right starting point for a beginner. Any type of activity can be good, even walking. Thus, you should aim to get at least 30 minutes of exercise every day. This will boost your metabolism and will also make the success of the keto diet more prominent. If you already have a good plan with your activity levels, it will be very easy to go to the next level with weight loss and you will also make better progress which is healthier and way more balanced than coming from a sedentary lifestyle and shocking your body with new nutrients. 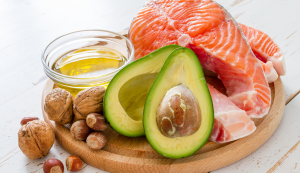 There is clear evidence that the Ketogenic diet can come with great results for many people and this is why it is important to know that you can see the results you want in a short period of time. One of the best advices for the diet is to simply plan your weeks ahead. You can plan your meals, you can plan your meal timing and the calories you consume. You can also plan your water intake, your resting intervals and your physical activity levels. This will put you in front of most people who try the diet and it will maximize your chances of success.